The Law is drafted to conform with and implement the current international IP protection frameworks including the Berne Convention for the Protection of Literary and Artistic Works (link), and the Paris Convention for the Protection of Industrial Property (link). As Lao PDR’s economy grows and more companies begin conducting commercial activities here it will become increasingly important for businesses to protect and maintain their competitiveness in the market. A company’s failure to effectively protect its IP or to restrict infringement of its IP can lead to the loss of market share, revenue, reputation, opportunity and competitive advantage. 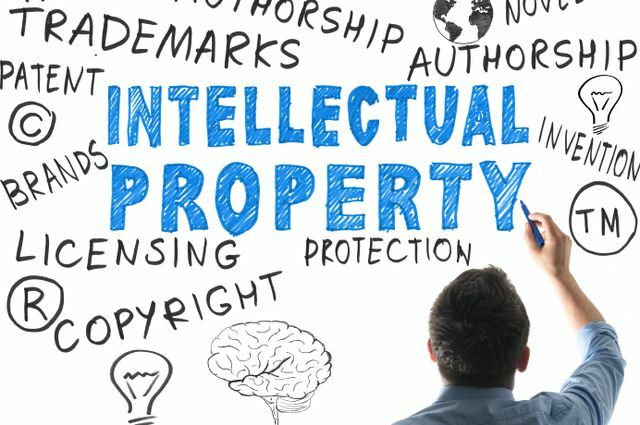 IP protection is essential for a company or individual to maintain effective control over the way their invention, innovation, product or work is accessed, used and exploited in the marketplace and how they benefit from it. Though there are many different IP protection mechanisms, the primary vehicles of IP protection in Lao PDR are trademarks, patents, copyright, and industrial designs. Lao PDR is a member of the Madrid System (link) of trademark registration that offers protection in up to 115 member countries worldwide. Trademarks registered in other Madrid System countries may be granted reciprocal registration and a trademark certificate acknowledging protection over the relevant mark in Lao PDR. To obtain IP protection for a trademark in Lao PDR a trademark certificate must be issued in respect of the mark. A trademark may be any sign, or combination of signs, capable of distinguishing the goods or services of one entity or product from those of other entities or products. Such signs may include words and personal names, letters, numerals, figurative elements and combinations of colours and signs. Eligible signs must be visually perceptible and not identical to a previously registered mark, well-known mark, or geographical indication for the same or similar goods or services where the later mark would tend to cause confusion as to the source of the goods or services or create a false impression that they are connected or associated with another party. As such, registration of a trademark offers the right to protect such mark from unauthorised use by a third party in Lao PDR that would infringe on it in such a way as described above. Applications for trademark registration are conducted through the Ministry of Science and Technology and may be made to apply to one or more classes of goods or services as described in the Nice Agreement for Classification of Goods and Services (link) (although Lao PDR is not a signatory to the Nice Agreement trademark registration in Lao PDR uses the same classes of goods and services as set out therein). Trade names are protected under the law without the obligation of registration, regardless of whether or not it forms part of a trademark. A patent is a bundle of IP protection rights held by an inventor or their assignees with respect to an invention in which information concerning the invention is protected from being exploited by third parties. The invention is industrially applicable. The invention must be able to be “applied usefully in industry, handicraft agriculture, fishery, services, etc”. It is industrially applicable, meaning that it can be “applied usefully in industry, handicraft, agriculture, fishery, services, etc”. They are scientific theories or principles, mathematical algorithms, or sets of rules for doing business or playing games, noting that such things may form part of eligible inventions. Likewise, diagnostic, therapeutic and surgical methods of treatment of humans and animals, and essentially biological processes for the production of plants or animals are also ineligible for patent protection. Noting, again, that such elements may constitute part of an eligible invention. The Law also retains special discretion to refuse registration of a patent with respect to an invention where it is considered necessary to prevent its commercial exploitation to protect the culture and traditions of Lao PDR or where it is necessary for the protection of essential security interests of Lao PDR. Noting the above, the registration process for patents and petty patents in Lao PDR will grant priority, in the case of disputed applications, to whoever files the application first. While the granting of a patent or petty patent may take years from the date of filing the application, patents offer protection for twenty years from the date of filing and petty patents for 10 years. Copyright refers to the rights protecting works of authorship in art and literature, including scientific works and computer programs, in accordance with the Law. Copyright protection arises in artistic or literary works immediately upon the creation of such works and exists regardless of registration of such protection. Copyright owners may apply to the Department of Intellectual Property to have their copyright recorded to simplify the settlement of any disputes that may arise with regards to the protected works. Copyright is the IP regime for the protection of artistic works such as drawings, paintings, sculptures, photographs, illustrations, musical works and compositions, and works of literature such as books, brochures, speeches, plays, and academic works. The owner of copyright in a work will be the author, or authors, except in particular cases in which the rights have been assigned or transferred or in some cases of work commissioned by a third party which provides compensation to the author/s for the copyright to the respective work or works. The Law provides a list of exclusive economic and moral rights of copyright owners with respect to the work that applies equally to foreign and Lao authors in Lao PDR. Such exclusive rights include the rights to disclosure and publication of the work, to object to misattribution of authorship, to compile a collection of copyright works, to reproduce or translate the work, and to gain economic benefits from the sale, broadcast, performance, communication, etc. of the work. An industrial design shall be deemed ‘new’ for the purpose of the Law if it has not been disclosed to the public by publication, display or use, in Lao PDR or anywhere else, prior to the date of filing of the application for registration. An industrial design will be considered ‘ornamental’ for the purpose of the Law if it gives a special appearance to the object to which the design is applied or in which it is embodied and such appearance is not functional or dictated by technical features of the object. Designs ineligible for industrial design registration are those in which the appearance of the design is dictated by technical features of the object to which the design is applied or in which it is embodies, and designs that are considered contrary to social order and the fine traditions of the nation by the relevant authorities. IP protection can be applied for by all Lao citizens and companies and all citizens of nations that are members of international IP treaties or conventions to which Lao PDR is also a member. Individuals or entities that do not fall into these categories will be required to have a representative that does in order to apply for IP protection in Lao PDR. IP protection applications may be filed in either English or Lao, though Lao language translations of submissions made in English must be provided to the relevant authorities within 90 days of the initial submission.